Kentaro Miura’s Berserk has outraged, horrified, and delighted readers since 1989. 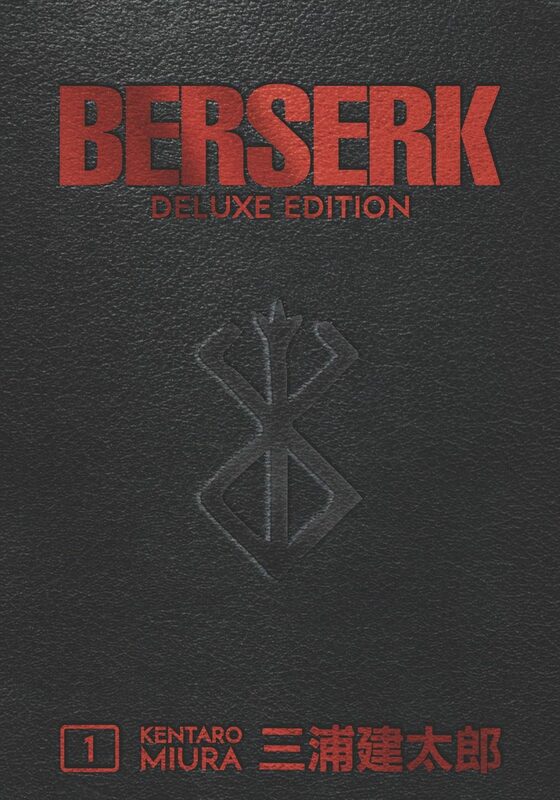 Now, the champion of adult fantasy manga is presented in a handsome embossed hardcover edition amassing the first three Berserk volumes in Kentaro Miura’s preferred 7×10″ format, with further volumes to come to present the entire series in deluxe matching bookshelf collections. In addition to the Berserk Deluxe Editions, Dark Horse Manga will publish the Berserk Official Guidebook on September 19, 2018. On April 3, 2019 comes the first-ever Berserk light novel, Berserk: The Flame Dragon Knight, which traces the rise of the warrior Grunbeld from humble beginnings to the all-powerful Apostle who will one day face Guts in mortal combat!